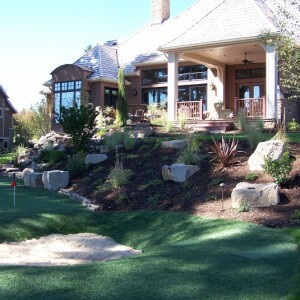 This was a project for one of the annual Portland street of dreams showcases. 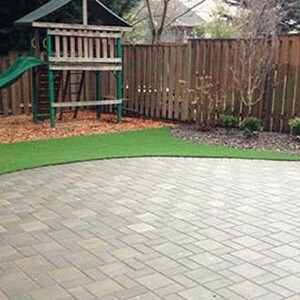 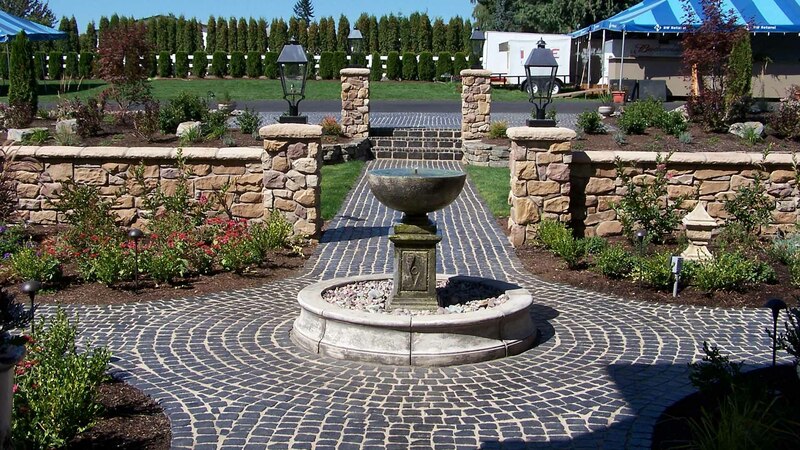 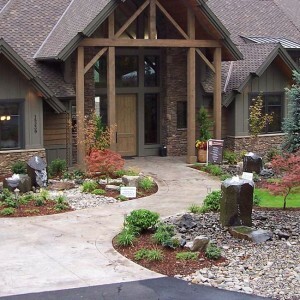 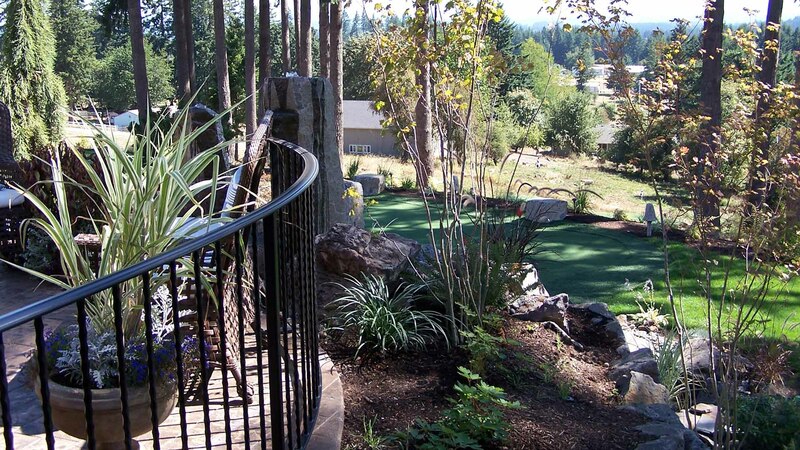 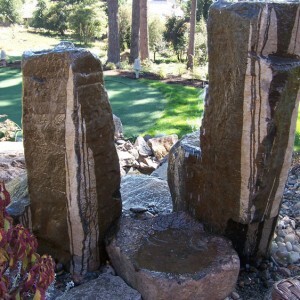 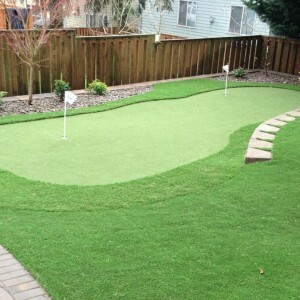 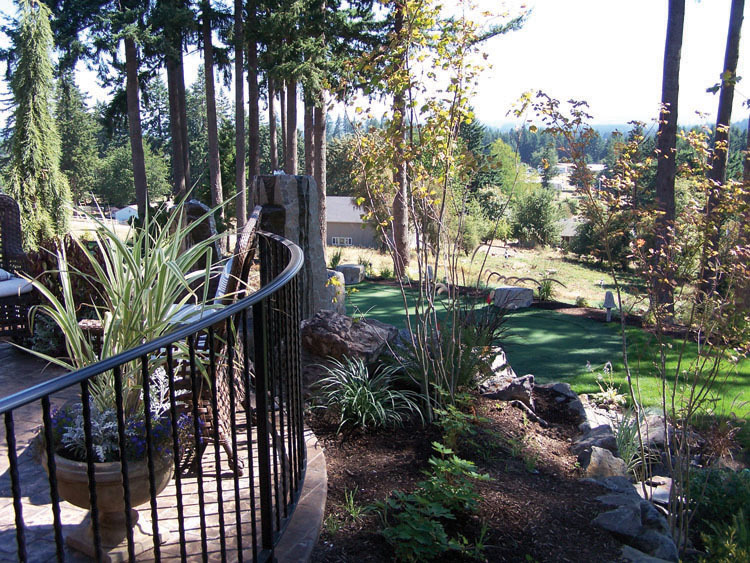 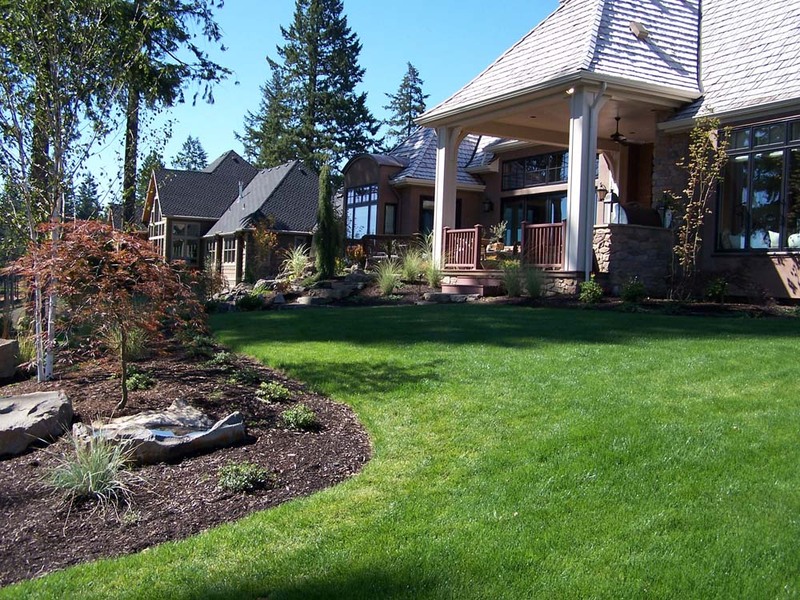 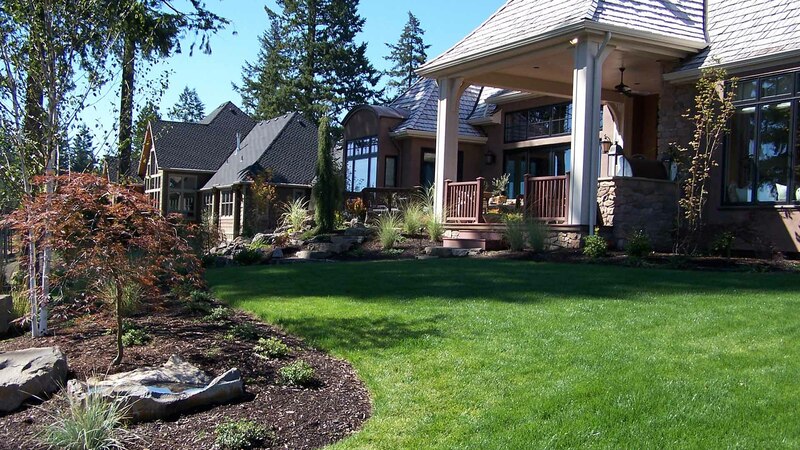 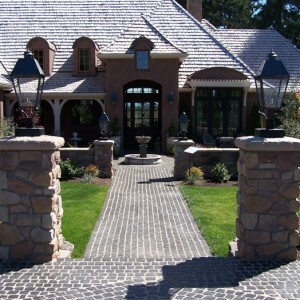 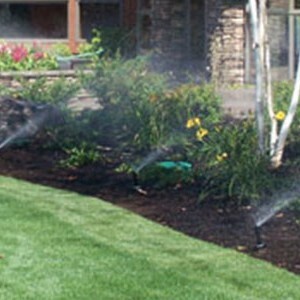 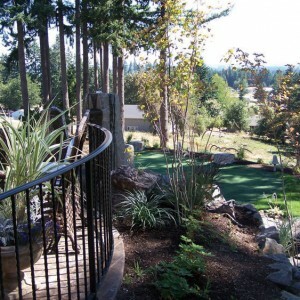 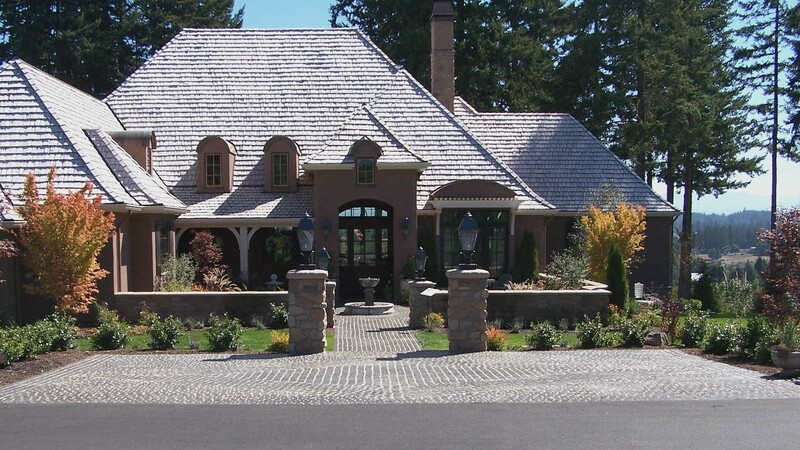 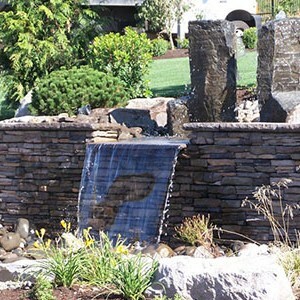 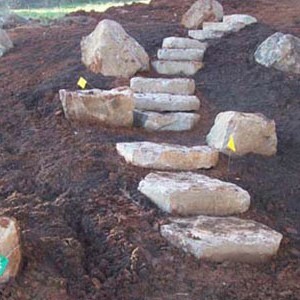 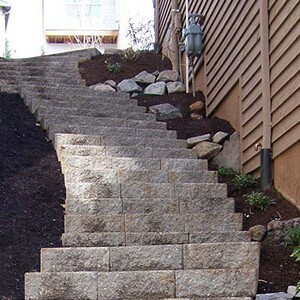 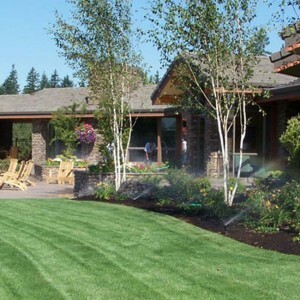 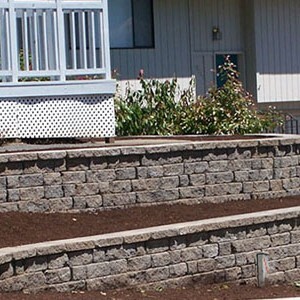 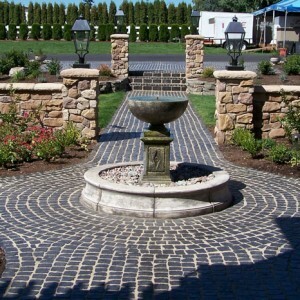 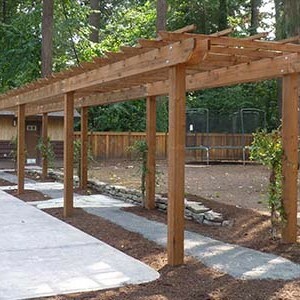 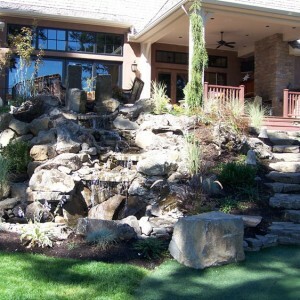 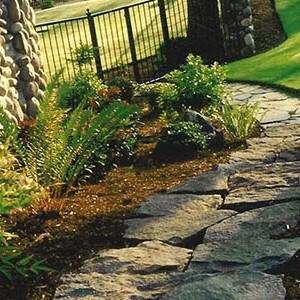 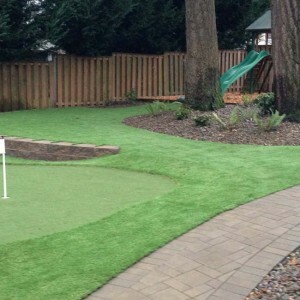 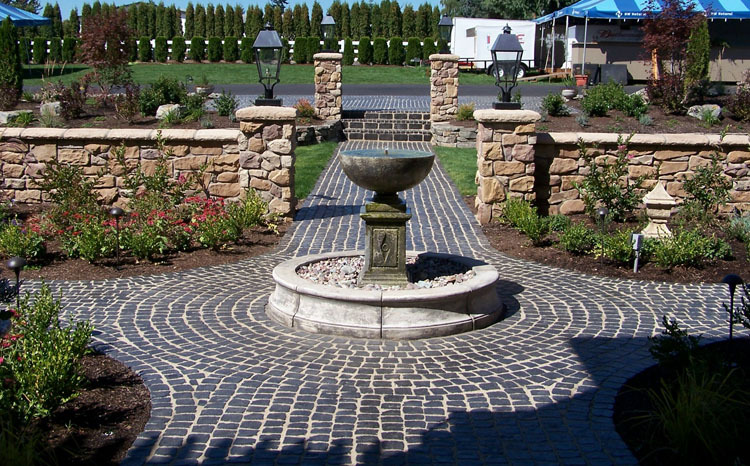 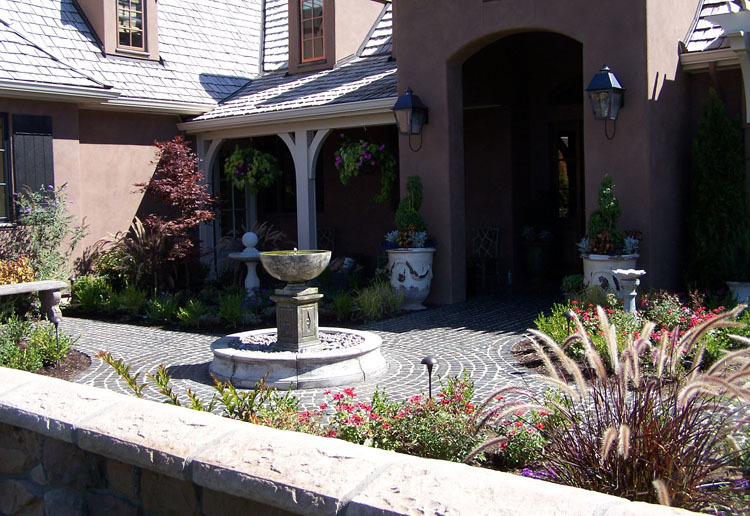 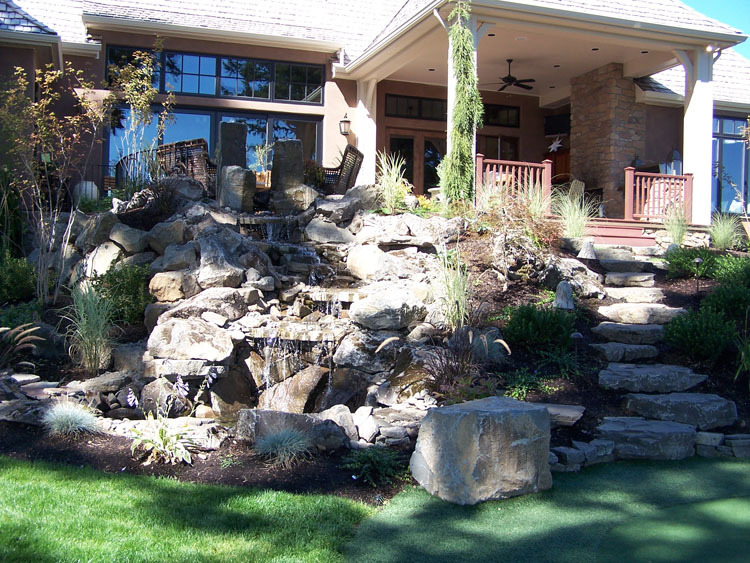 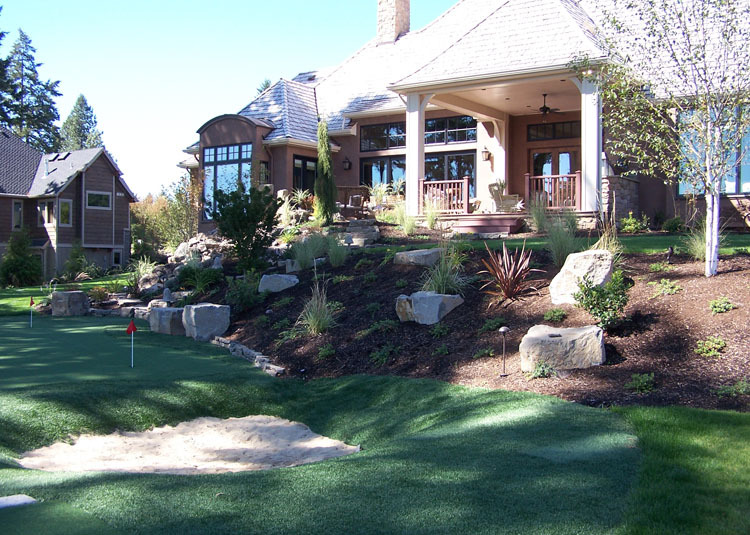 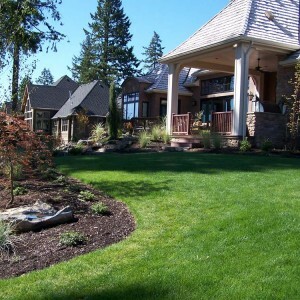 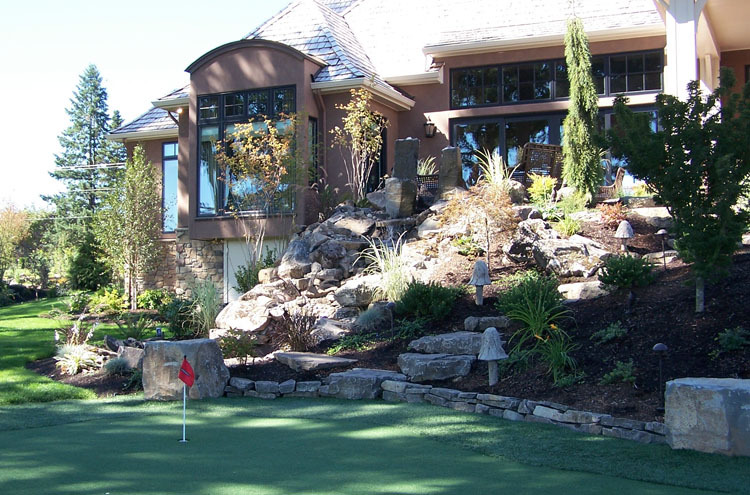 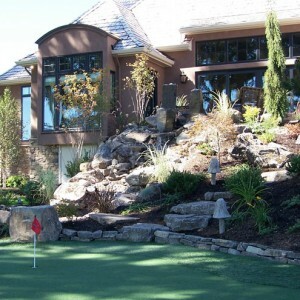 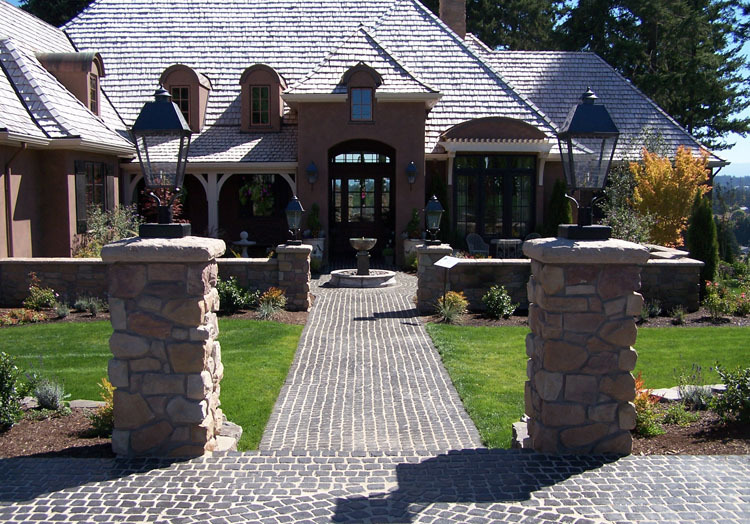 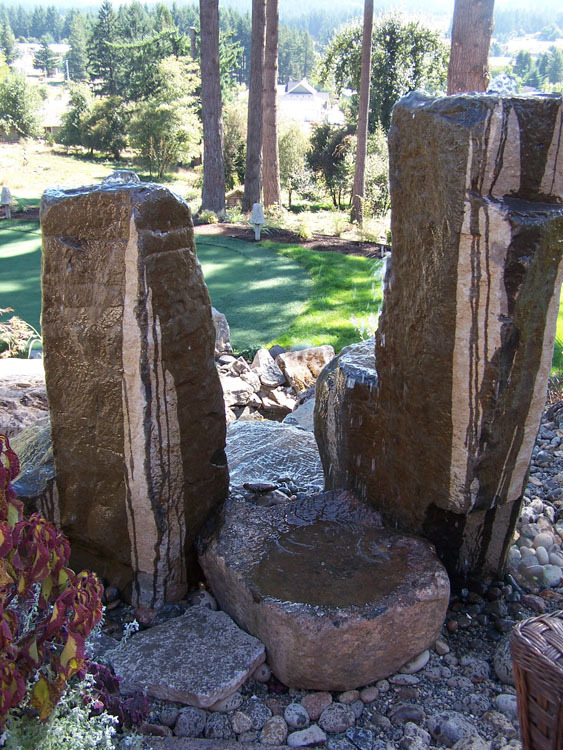 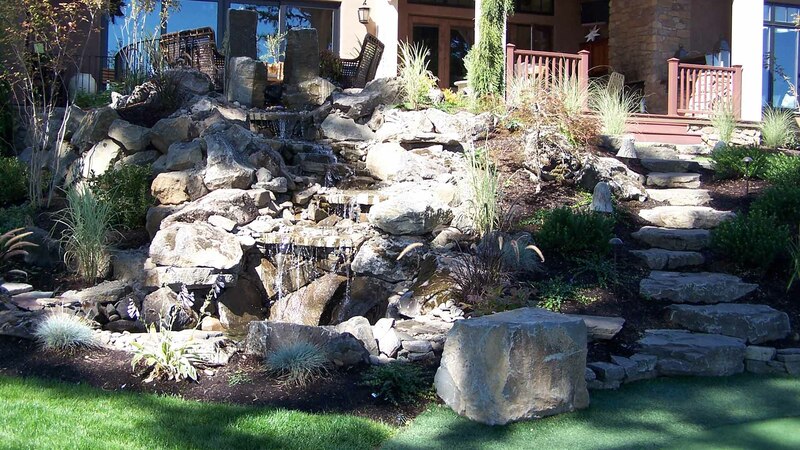 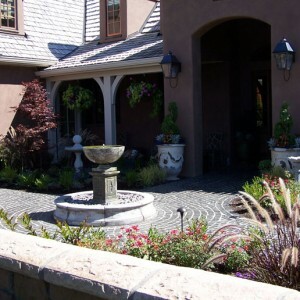 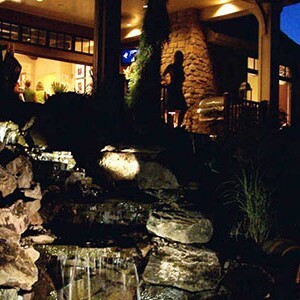 This landscape was designed from the ground up as a complete landscape package that included lush plantings, formal patio and path, 1 formal water feature, 1 natural water feature, expansive grass areas, putting green, natural landscape steps, full irrigation system and full outdoor lighting system. 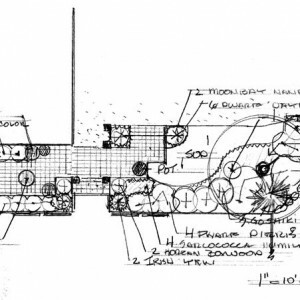 This entry was posted on March 2, 2015 .